Histologic slide of a biopsy showing extensive spike formation along the glomerular basement membrane. This woman had recurrent membranous disease 8 months after transplantation. She developed nephrotic range proteinuria and subsequent renal dysfunction. Both recurrent and de novo membranous glomerulonephritis are indistinguishable from idiopathic membranous nephropathy. 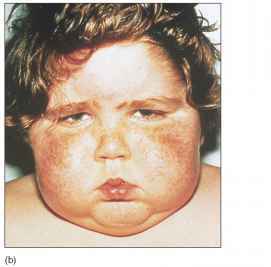 The initial lesions are generally stage I or II, although the deposits subsequently become diffuse and intramembranous. Histologic slide showing deposition of anti-glomerular basement membrane (GBM) antibody along the GBM, which is seen in over half of patients with Goodpasture's syndrome who receive an allograft while circulating antibodies are still detectable . In most of these cases no histologic abnormalities are seen within the glomerulus, however, and patients remain asymptomatic with normal renal function. Approximately 25% of patients with antibody deposition will develop features of crescentic and rapidly progressive glomerulonephritis and subsequently suffer graft loss. Delaying transplantation for at least 6 months after antibodies have become undetectable reduces the recurrence rate to only 5% to 15%.